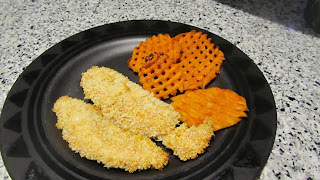 Both my husband and my mother in law love fried chicken and fried fish. I do not, and more than that, I don't consider it healthy, so I came up with a way to compromise. I can eat this, and they say it tastes just as good as fried. The following quantites are more than enough for the three of us, but we do not eat huge servings, you will have to figure out what suits your family size and appetite. 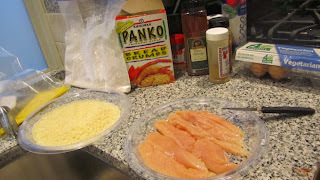 mix the seasonings and corn starch together in a plastic ziploc - shake well, this will barely flavor your chicken so don't worry that it will be spicey. If you want spicey you will need to add a lot more. 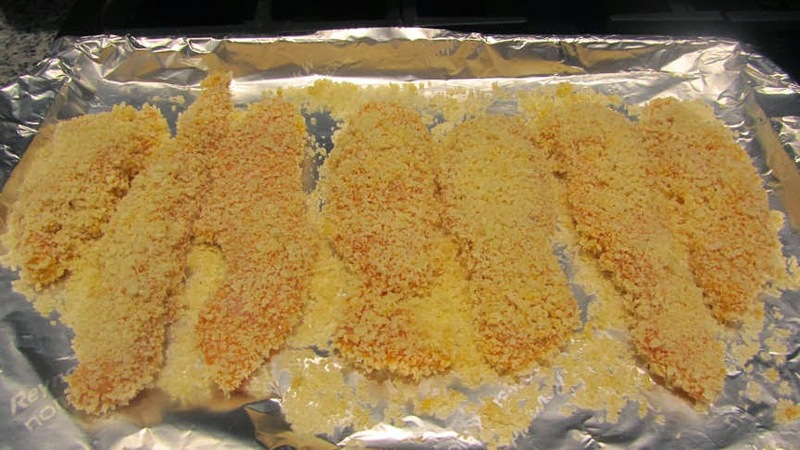 pour panko onto a plate and roll the meat in the panko, patting in breadcrumbs so they are well coated. 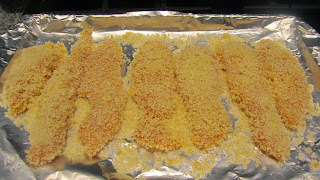 Place in center of oven and cook for 10 minutes on each side. 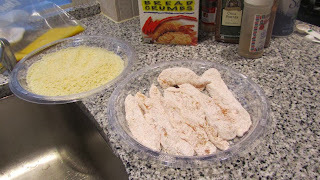 Do check to make sure your chicken is fully cooked, if your tenders are too thick they may need more time. Fuzzy's Taco Shop - Cedar Park.